For the youngest! 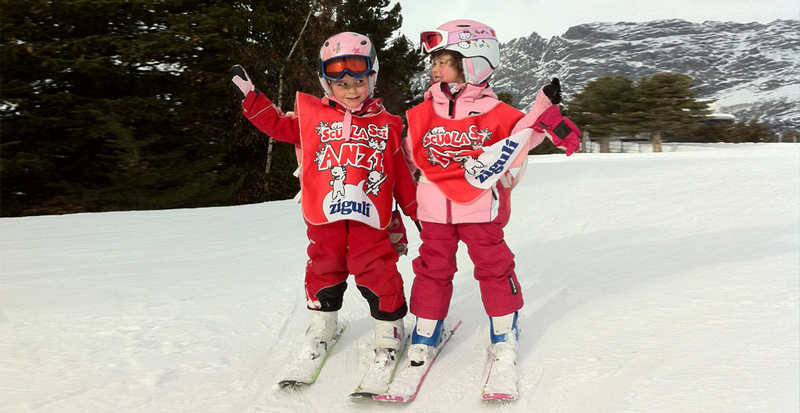 We organize children ski lessons of every level for our little guests, from the beginner to the “little champion”. The first experience of the snow is very important and our ski school has a well equipped park for children, so they can become accostumed to the world of snow step by step, and with a lot of fun. Our ski instructors combine teaching with fun so your children will have an unforgettable time on the snow….and in the meantime Mum and Dad can relax! Introductory group lessons for children from the age of 3. 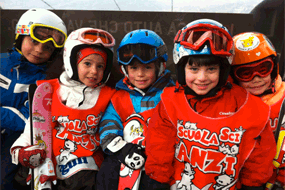 This course is designed to give children a first taste of skiing according to the motto “learning by playing”. 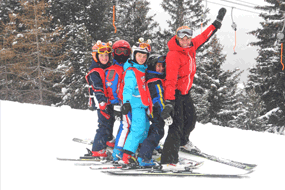 In the well-equipped mini ski club the children will have fun and enjoy themselves under the supervision of qualified ski instructors for one and a half hours a day. 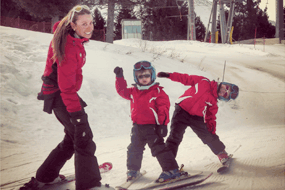 Children Ski Lessons over the age of 4, we provide a comprehensive range of programs for all ability levels: we offer group lessons for complete novices (who have never skied before) as well as for good skiers. At the end of the week the children will take part in a race to show their parents how much progress they have made. Of course all the clients of our school can also get individualized tailor-made instruction: alpine skiing, snowboarding, freeride, fun-carving, racing technique, telemark skiing, in our team we have qualified instructors for all disciplines who will be able to get the best performance out of everybody.